The Mary Rose – A Short Fact Sheet. The Mary Rose was built 1509-1510. Henry VIII was then only 18 and named the ship after his sister Mary (the Rose is from the Tudor Rose his family symbol). In 1536 the ship was refitted to carry more guns (now 71) and anti-personnel weapons (20). On July 19 1545 the Mary Rose sank a mile and a quarter from Portsmouth harbour. Henry VIII was then 54 and had one more year to live himself. The Mary Rose sank in only 40 feet (5 meters) of water soon after she had engaged the French invasion fleet. The ship sank so quickly that only about 30 of the ~415 crew actually survived. The French ships had oars and were more manoeuvrable than the English ships. It is thought that the Mary Rose was overloaded with men and ordinance and when executing a turn she heeled over and sank within seconds. The deck was covered with netting to protect the crew from arrows and falling timber and to restrict boarding actions. It is thought this net contributed to the high mortality. 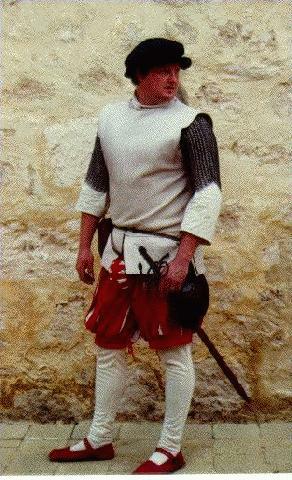 Many soldiers would have been wearing various forms of armour which also would have reduced their chances of survival. The Mary Rose lay beneath the Solent for 437 years before she was raised on Monday, October 11, 1982. Nearly one whole side of the ship was completely intact with many artefacts preserved aboard. The mary Rose is thought to have had about 350 archers aboard when she sank. Records show the ship was carrying 250 bows, 400 sheaves of arrows (24 arrows per sheave), and six gross bow strings. Artefacts recovered include168 longbows and around 3000 arrows. Until this find only one example of a Tudor arrow existed. Bows measured between 1.84 and 2.06 meters long and draw weight is estimated at 40-80kg (88-176 pounds) at 76cm draw. 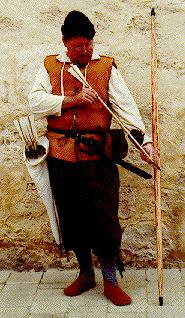 Arrows were made of poplar and were about 76cm long and 13mm thick. Fletchings were feathers about 15cm long glued on with a green glue (containing verdigris) and also bound on with thread. We have reconstructed some arrows based on the information gathered on the wreck – we have given our arrows bodkin heads for armour piercing. Using a 50 pound recurve bow our reconstructed arrows fly about 80M and pack a fair wallop even at that range. Based on the equipment found on the wreck it is believed that the arrows would have had a maximum range of 150-200 meters. Arrows would have arrived at their target at about 130 kilometers per hour (80mph). A 60g war arrow (our reconstructions are ~80g) can penetrate 1.6mm of steel plate if fitted with a bodkin (long tapering) head. 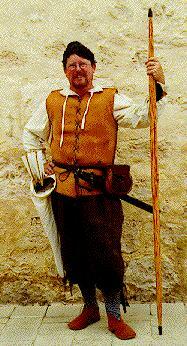 A skilled archer could shoot 12 arrows per minute – a rate of fire not equalled by firearms until last century. If all 350 archers were shooting at once they could theoretically loose 70 arrows every second. Even a few volleys like that would have ripped through any men on the deck of an enemy ship. 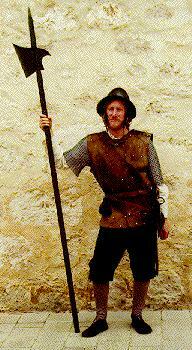 The Mary Rose carried 9600 arrows. At maximum shooting rate the ships stores of arrows could be depleted in only about 2.5 minutes. This obviously would not happen in real combat but is interesting theory. Records suggest some 250 soldiers were aboard the ship; many of whom were probably archers as well. Soldiers would have been of various branches. Weapons and armour would have been varied and included pikes, bills, halberds, spears (from the fighting tops), swords of varying type, bucklers, various hand guns, hailshot guns etc. Armour also would have varied and many men would likely have supplied their own. Mail was very common, especially under leather jerkins. 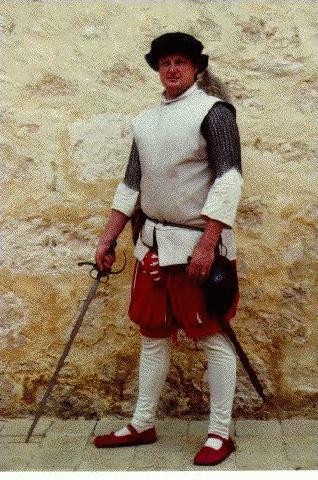 Other armour would likely have included leather, Jack (coat of plate), partial plate etc. Morian style helmets would have been most common, as would Burgonets etc. 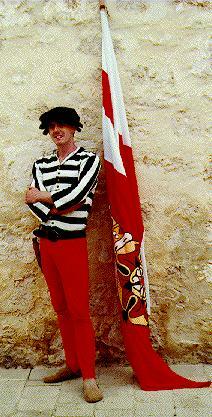 Many soldiers would have just worn the hats of the period (wool, felt, leather etc). Probably 120 mariners were aboard the Mary Rose. 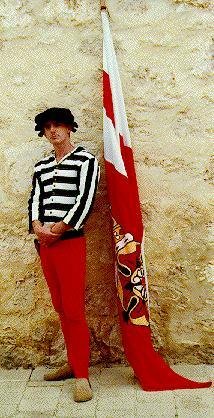 After much research our costumiers made the outfit shown below. Margaret Rule commented that this outfit may well have been "parade clothing" for when the fleet turned out for public display. Mrs Rule also suggested that many of the sailors would have had little more than a pair of baggy "shorts", a simple shirt, maybe a leather or heavy cloth jerkin and no shoes. The women would have come down to the seashore to watch the battle. It was to take place only a mile or so offshore and it can be guessed that the ladies were all hoping for a good show. 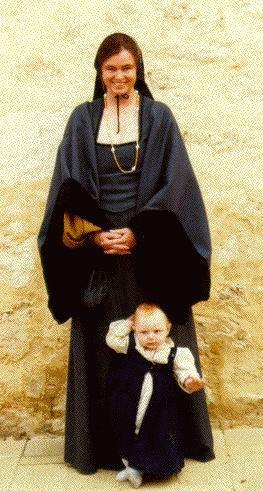 Since the ship was carrying men of all social classes and since the King himself had turned out to watch the battle, we can easily justify any woman of the period to be present at the occasion the the Mary Rose’s demise. Additional notes on our costumes and reconstructions. Very few items of iron survived. The outline of a sword in the sand seems to show a kind of weapon similar to the weapons we have reconstructed for the archer and Gunner. No arrowheads survived but we have used bodkins in the reconstructions since these can be drawn cleanly back through the leather arrow spacers found on the wreck. Many leather jerkins were recovered but no mail, helmets or other armour was found – probably due to corrosion. The equipment carried by our Soldiers and Archer is based on sources other than the Mary Rose but still in the period of Henry VIII. The Sailors outfit is based on an illustration in a book by Herbert Norris (Costume and Fashion, Volume 3, the Tudors, book I : 1485-1547). For more information visit The Mary Rose Homeport in Portsmouth, England. 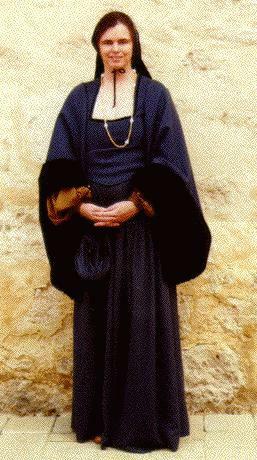 Below is a list of pictures of some of the Costumes Grey Company produced for the Mary Rose Exhibition in 1995. Just click on the title to see the image.